We live in an incredible age. With the convergence of the bicycle, electric power and technology, suddenly human beings have the the ability to feel what’s it’s like to become “bionic”. Electric assisted cargo bikes are great because you can accomplish many of the errands normally done with a car: carrying kids, getting groceries, picking up random items during the day, etc. 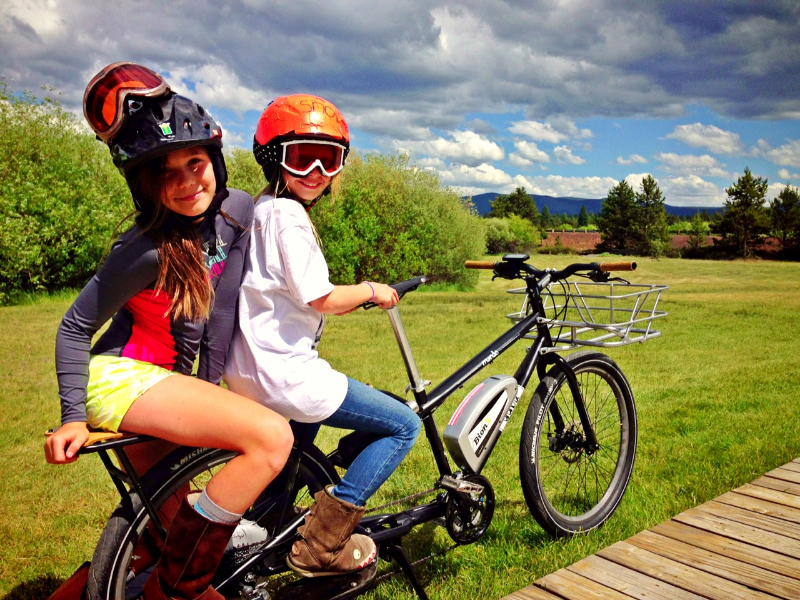 And Yuba Bicycles is all about showing off “What a bike can do” in their Power-Up Bike Tour across the US. During this tour they are taking their cargo bikes to local dealers and events to “bring the bikes to the people”. This post continues Paul Willerton’s series (Part 1 & Part 2) on building and using a Yuba Mundo (becoming an El Mundo, electric assisted). Some time has passed since my last post on how a Yuba Mundo with BionX has been woven into my daily life. About a year, in fact. While it’s still not time for a “Long Term Review”, I will say this: the bike is holding up extremely well – even, dare I say, improving. In part 1 of “Life With An Electric Assist Cargo Bike”, I wrote about why I ride such a bike and why the Yuba Mundo with BionX became my long-term partner for these stories. 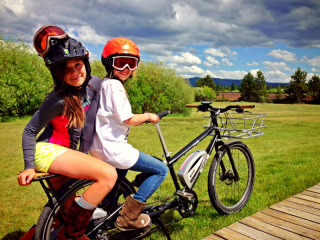 In part 2, I write about a big reason I ride the bike: kids. Bicycles fascinate us. Attending the “Cyclepedia” exhibit at the Portland Art Museum in August was eye opening for me. I thought I had seen it all over 40 years of studying the bike. 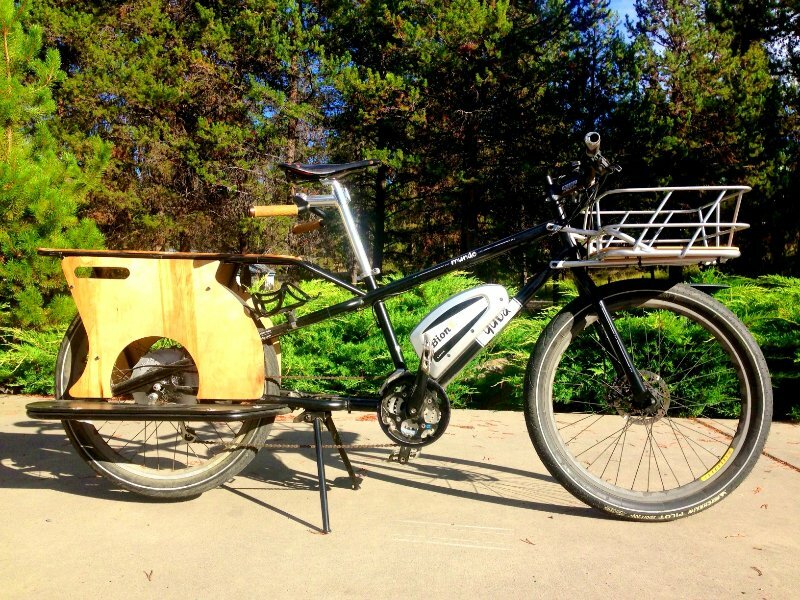 This is part one of a multi-part story: Why an electric cargo bike, and how do you build one of these? – By Paul Willerton. Earlier in my life, I was a bicycle racer. From about the age of 10 until 30, most waking moments were spent trying to figure out how to go faster on a bicycle. That ended nearly 15 years ago. At that time, cargo bikes weren’t seen on the roads, let alone electric assist cargo bikes. So why now, in my mid 40’s, was I interested in such a machine?